Food from Eastern corners of the world is often thought of as some of the most exciting and enticing on the planet. Whether umami-rich with Japanese miso or soy sauce, spiked with gently building layers of aromatic Indian spices, or replete with fragrant Thai herbs, Chile and garlic, each mouthful packs a big flavor punch. The savory little bites that usually serve as a precursor to an Asian meal are no exception flavor-wise, and quite often everyone will scramble to take the last one on the plate! Now, with Asian Tapas, you can make these tempting morsels the centre of attention. 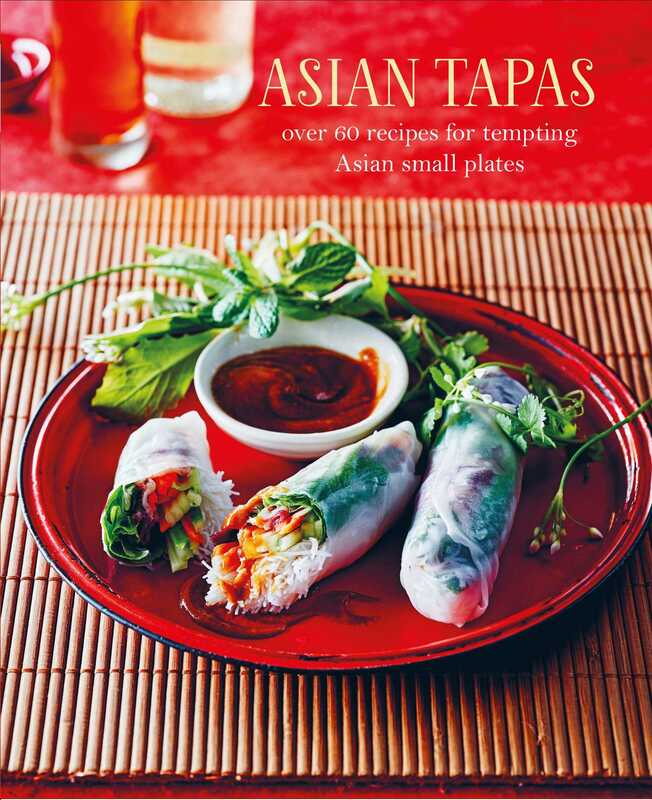 Here you’ll find a great collection of over 60 recipes that will satisfy any Asian-food aficionado and which includes everything from samosas to sushi and dumplings to dosas. Choose from Spicy Fritters, Thai Green Curry Chicken Wings, Popcorn Tofu, Summer Rolls with Mackerel, Quinoa Temaki and Pork, Salt and Pepper Squid, BBQ Pork Belly Skewers, and Charred Shrimp with Spicy Dipping Sauce.